Scarce packet of 577-450 commercial ammo built by Kynoch Ltd. The packets normally found are marked "Rifle". This packet is marked and loaded for the Martini carbine. An unopened packet of 10 with its' original twine. 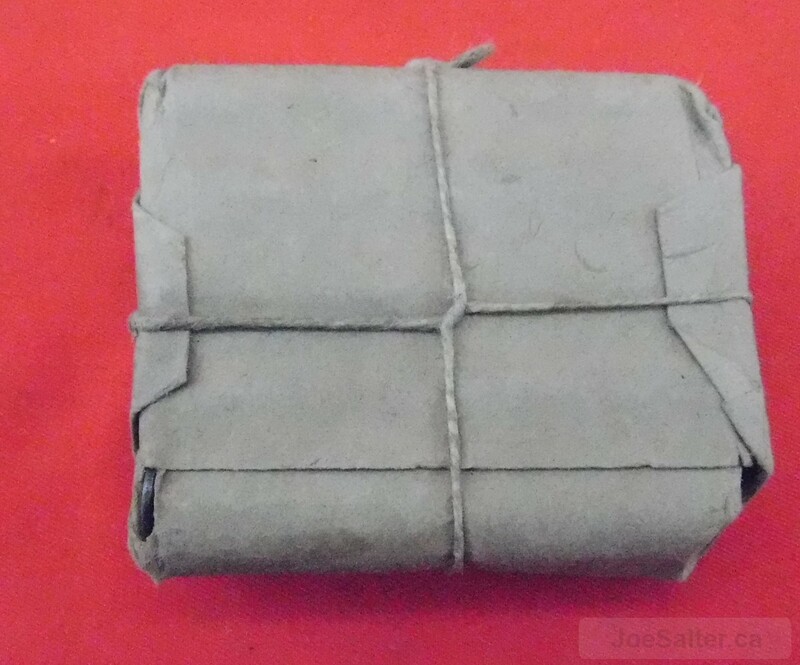 There are two minor perforations on the left side of the packet . 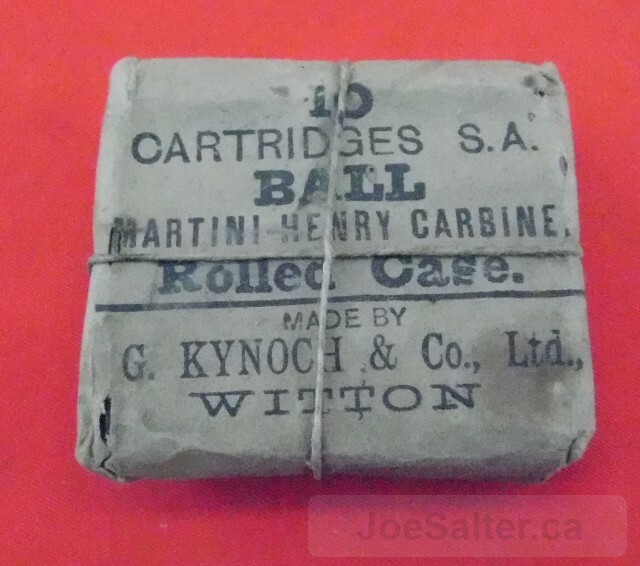 A scarce packet for the Martini or ammunition collector.